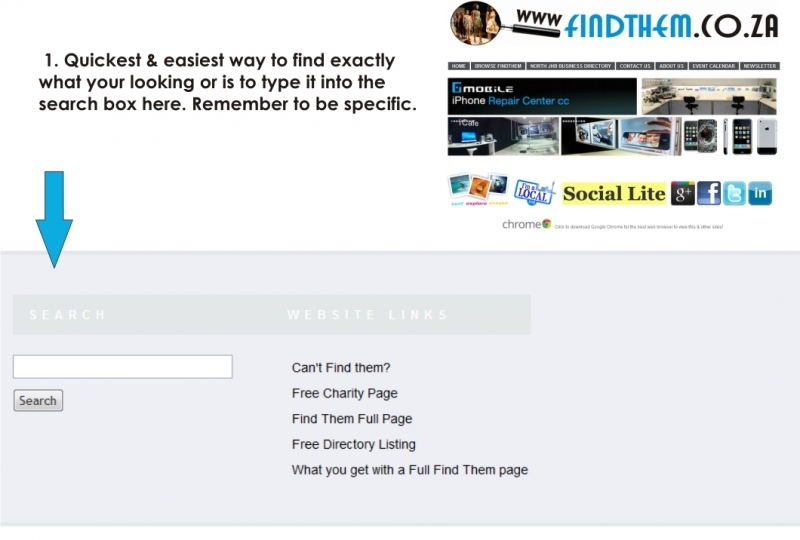 Here we'll show you just how easy it is to find the business or service you are looking for. 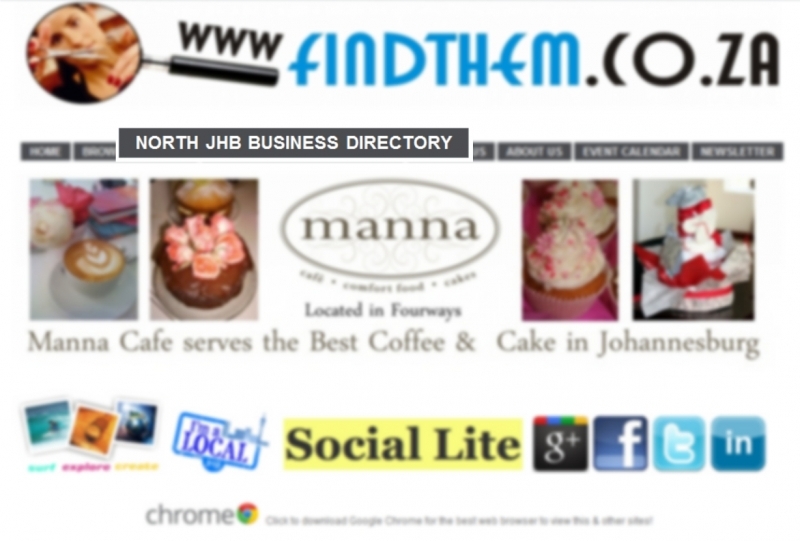 Firstly, are you in the right area, this is the North Johannesburg Findthem, click here for a list of other areas. We are going completely national in 2012. 2. 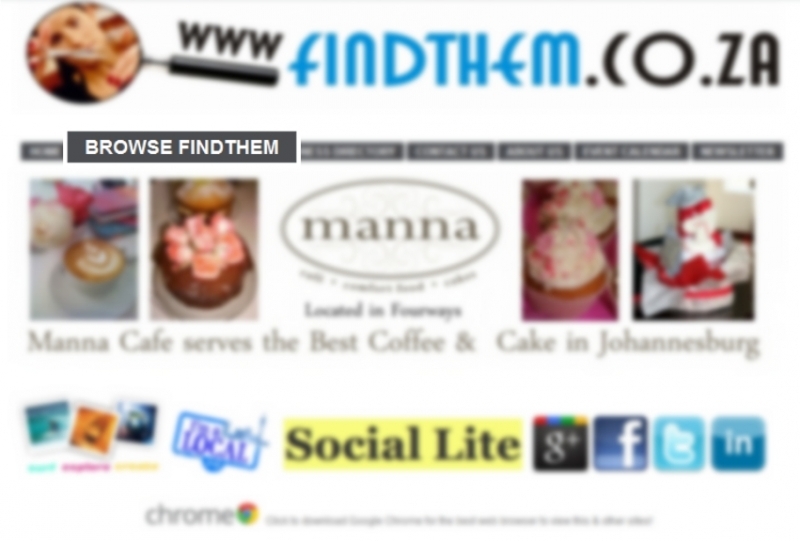 Click 'browse Findthem' & navigate through the various categories to find exactly what your looking for. 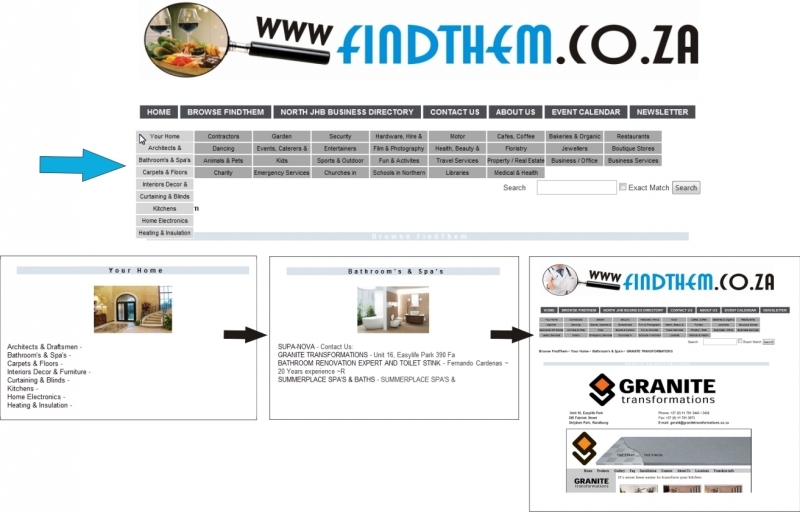 Select either or all of the categories to modify your search via Area, Industry & Company. Please note, some of these results maybe just number listing, however our Findthem clients are also in these results & have full page features. 4. Still cant find what your looking for, click here and let us know your enquiry & someone will find them for you & pop you an email.